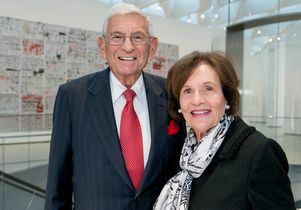 A $1.2 million gift from the Eli and Edythe Broad Foundation will benefit the UCLA Vatche and Tamar Manoukian Division of Digestive Diseases in the David Geffen School of Medicine at UCLA. The Broad Foundation’s gift will be overseen by Dr. Charalabos “Harry” Pothoulakis, director of basic research in the UCLA Center for Inflammatory Bowel Diseases, or IBD, and holder of the Eli and Edythe L. Broad Foundation Chair in Inflammatory Bowel Disease Research. The gift will capitalize on a decade of support by providing resources for early-career scientists pursuing new discoveries in the understanding and treatment of IBD. This funding is vital to investigators launching their careers as they pursue early-stage IBD research. In the 10 years since its founding, the UCLA Center for Inflammatory Bowel Diseases has made significant advances in the field, including — in collaboration with Dr. Dimitrios Iliopoulos, director of the UCLA Center for Systems Biomedicine — the discovery of two new drugs to treat IBD. The Broad Foundation has supported several schools and centers across the UCLA campus since its founding in 1999. Its latest contribution is part of the $4.2 billion UCLA Centennial Campaign, which is scheduled to conclude in December 2019 during UCLA’s 100th anniversary year.